Exceptional performance intrinsically safe barcode printer. Print width of 4.09“/104 mm. Maximum speed of 14“/356 mm per second. Excellent 203 dpi print resolution. Solid metal body type. Uses Serial, USB, Gigabit Ethernet, USB Host and Bluetooth 4.0 to connect. Get the exceptional performance you need to keep mission-critical operations running smoothly, plus intelligent, user-friendly features that give you total visibility and control at all times with 4-inch width (104 mm), 600 dpi printing on this intrinsically safe barcode printer. This barcode printer offers two available communication slots - field-installable RFID encoder and media-handling options, and two USB host ports for plug-and-play integration. It is also designed with color-illuminated media and ribbon paths to help you identify problems quickly. Product comes with onboard sensors, diagnostics and help resources to reduce the need for technical support. If you are looking for an extremely reliable barcode printer for industrial use, then nothing would ever beat this choice. 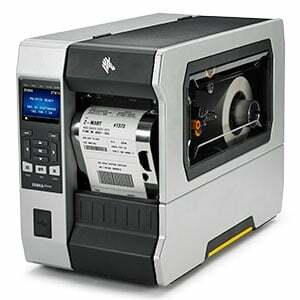 This intrinsically safe barcode printer is designed to print hundreds of barcode each day. It is very easy to operate and shutdown. All the buttons are light-touch and in place. Comes with a manual and drivers. Having this intrinsically safe barcode printer means having everything you need in a barcode printer.